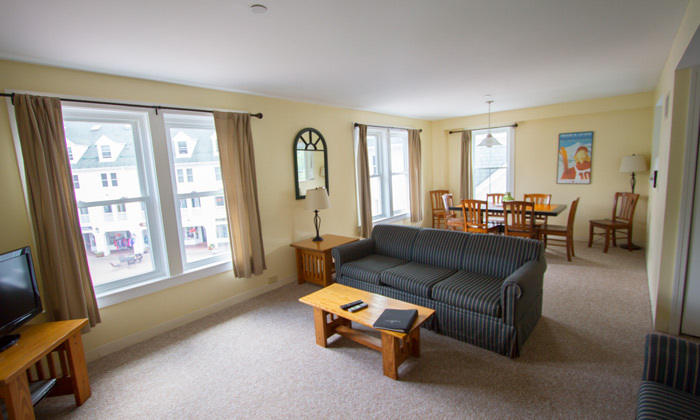 From quaint country inns to 3 or 4-bedroom condominiums, Waterville Valley has numerous lodging options to accommodate you and your family - from a romantic escape to a family vacation. As Waterville Valley is a self-contained resort, you'll find all our accommodations are within walking distance to shopping, dining and activities. And if you'd rather not walk, don't worry. We offer a seasonal, free trolley that will take you just about anywhere you want to go in the valley. Look for bus stops, clearly marked throughout the village. Although all accommodations are independently owned, they all share the same goal of helping you get the most out of your vacation in this mountain paradise. So take a moment to explore the inns, lodges and condominiums listed below, select something that suits your family's needs and budget, and let Waterville Valley become your home away from home. Everyday you stay with us in Waterville Valley, you are given a Freedom Pass. A $100/per day value pass that gives you access to all of the activities in Waterville Valley. The Black Bear is an all-suite lodge located in the heart of the village. Each Deluxe one-bedroom sleeps four/six comfortably. Two-level Loft condo’s sleep up to 8. Every suite features a fully equipped kitchen, living room with a pull-down Murphy bed or sofa pull-out, dining room, and bedroom with queen and trundle beds. All units have air conditioning. On-site amenities include an indoor/outdoor pool, sauna, hot tub, game room, exercise room, two conference rooms and an inviting common area with a grand fieldstone fireplace. Free wireless Internet available. The Golden Eagle's grand architecture, exceptional service and family friendly accommodations have lured people to New Hampshire from around the world. All 139 suites are of exceptional quality and have a fully equipped kitchen, separate living area and bedroom(s). Being centrally located in Waterville Valley affords guests easy access to shops, restaurants and recreational activities. Lodging amenities include indoor pool, Jacuzzis, saunas, video game room, guest laundry, bike storage, and complimentary morning coffee. Wireless Internet is available throughout the Lodge. This 32 room inn will remind you more of a B&B or mountain lodge than a hotel. All rooms feature 2 double beds or 1 king bed. Relax or enjoy breakfast on the spacious patio deck or curl up with a good book in the cozy lobby. Our legendary breakfast, featuring freshly prepared dishes, is included. Enjoy free wifi throughout the property. For those looking to explore the valley and get in a little exercise, the Inn offers a limited number of free bicycles for its guests. Don’t miss the free wine and cheese social held each evening. Spacious and comfortable 3-bedroom condos each sleep up to eight guests, feature a full kitchen and two full baths, and are located in the center of our self-contained mountain village. Town Square's shops, dining, and entertainment are just footsteps away from your accommodations. 1-bedroom condos sleep up to 4. Some air-conditioned units are available. 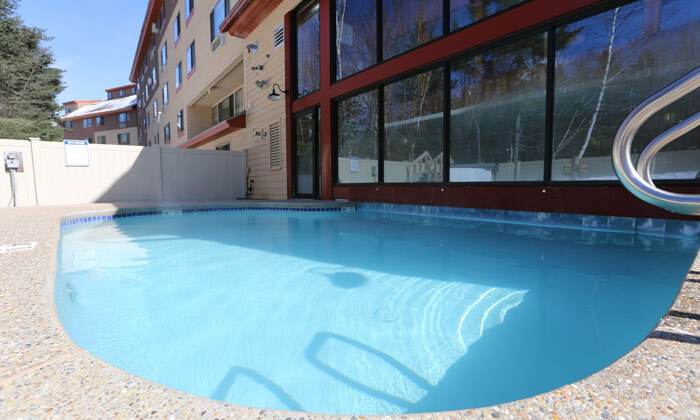 Amenities include access to White Mountain Athletic Club pools, whirlpool, sauna, and exercise room; an array of summer-time activities, and complimentary wireless Internet. The Valley Inn combines luxury, comfort and relaxation with boundless opportunities for indoor and outdoor recreation in Waterville Valley. The Valley Inn has a wide variety of rooms to suit your needs, from hotel rooms to two bedroom suites. All rooms have Cable TV and small refrigerators. Some also have kitchenettes or full kitchens, based on room style. Additional amenities include a game room and library with complimentary high speed WiFi throughout the hotel. From the Inn, it's a short walk to Town Square shops and restaurants. 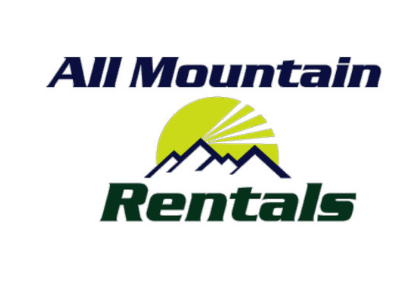 All Mountain Rentals is your trusted local White Mountain Vacation Rental Source! Locally Owned and Managed, we dedicate the time, energy and care to make sure your vacation is how you imagined! understand which property will match your needs. Give us a call today to come & enjoy the White Mountains as much as we do!